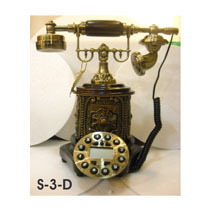 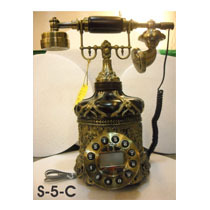 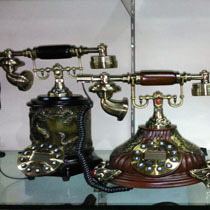 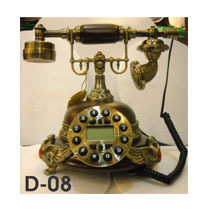 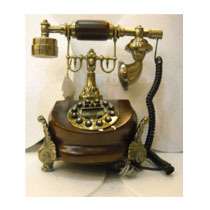 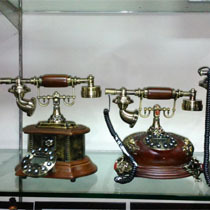 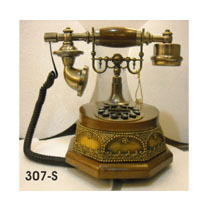 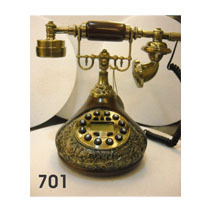 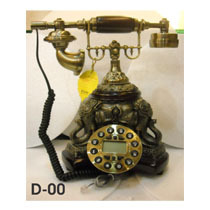 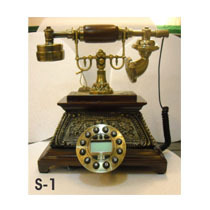 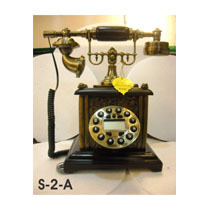 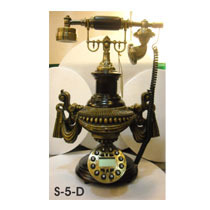 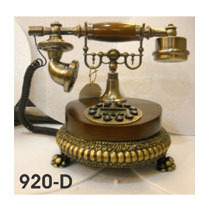 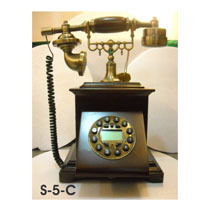 Antique telephone works with landline, this phones features caller id, date and time display with re-dial facility. 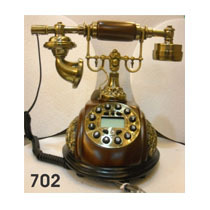 Show last 10 numbers of incoming calls. 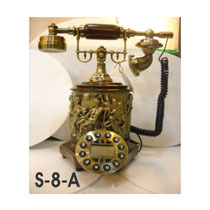 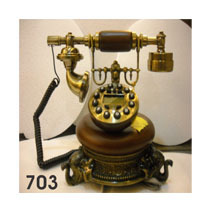 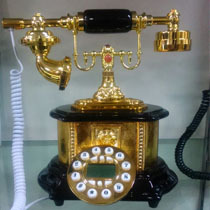 Brass antique telephone works with land line with rotary dial on plus tones, and give the old bell ringing tone, the body is made in wooden base with brass rotary dial, brass bells and reviser.